Choose your orange lamp for your interior: tangy and a vintage strand, dare the orange for your table lamp. 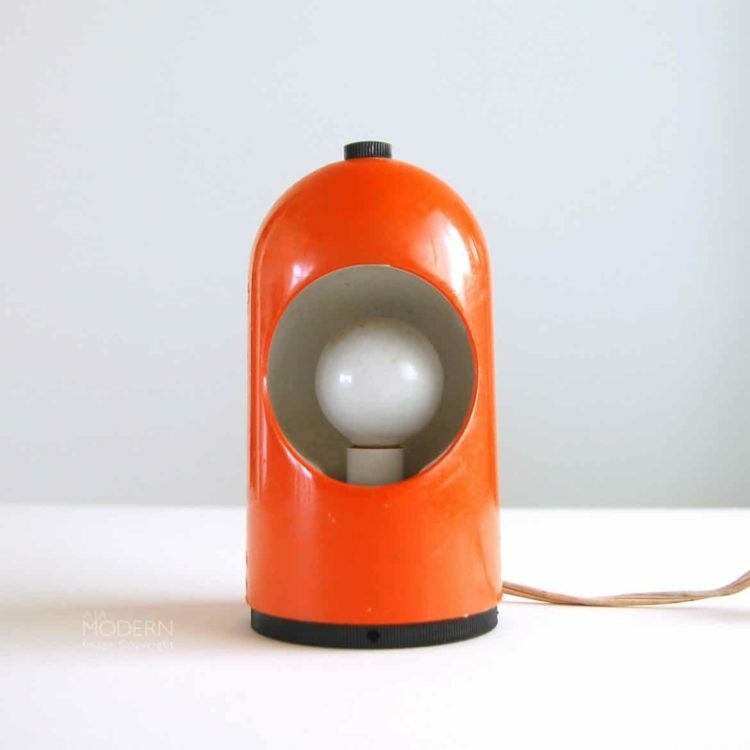 A space-age table lamp with a trumpet-shaped base cast in bright orange acrylic, a rosewood middle piece, and a bright acrylic outer shade, shaped like a half circle. The outer shade is fitted with a white acrylic inner shade, trumpet-shaped towards the bottom and open towards the top. The rosewood middle piece is probably a later added part to extend the height of the light – you are able to remove the rosewood piece if you want, but I think that it adds an elegant touch to the overall appearance. When lit, the bright outer shade becomes almost red and radiates a warm orange toned ambiance, while the white inner shade conceals the bulb and ensures a glare-free light. Absolutely a cute and super charming beauty and a pretty rare piece with numerous applications for the modern home – it would really pop on a credenza in the living room, in the bedroom as a cozy bedside light or perhaps on a shelf to accent any area in need of a mood lift. Bent Karlby and ASK Belysning collaborated for a brief period in 1970 and 1971, as Karlby designed a lighting series in Plexiglas and acrylic. Among these are the ERGO, the PAN (in new material and new colors) and the KARINA. 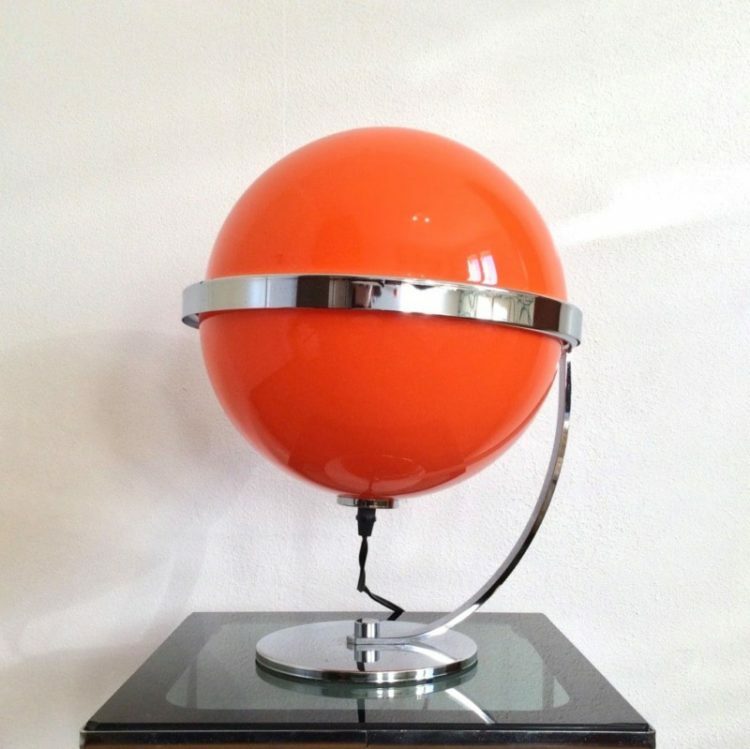 A stunning space-age chrome and orange spheric table or desk lamp. The ball shade is plastic, in a striking orange color, and it comes in two halves. Both halves close by means of a chromed metal ring. The heavy base and curved stem are chromed metal. It has an E27 type bulb fitting. These fittings will take modern energy saving lamps with an Edison thread. 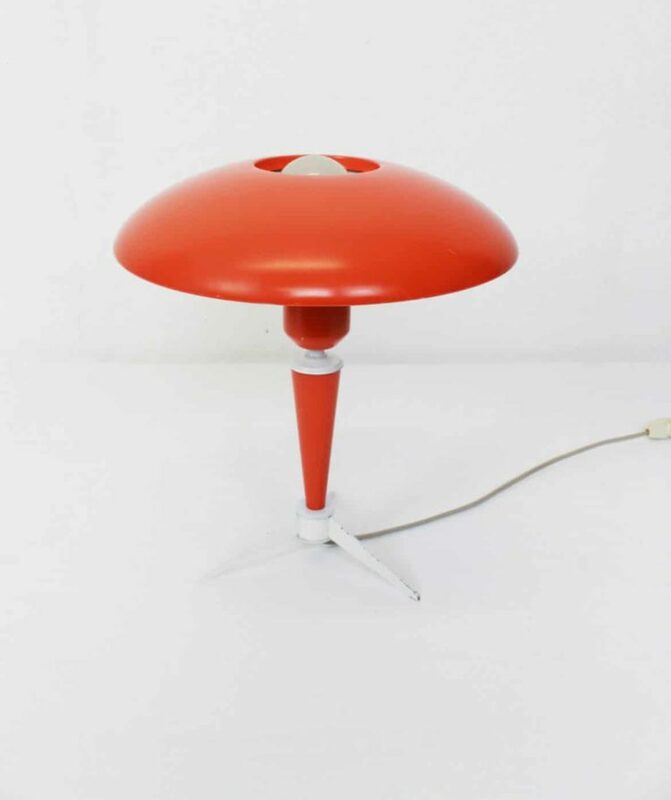 Original Mid Century Tripod Design Table Lamp by Louis Kalff (1897 – 1976) from the Netherlands. Socket: 1 x E27 – Standard bulb. 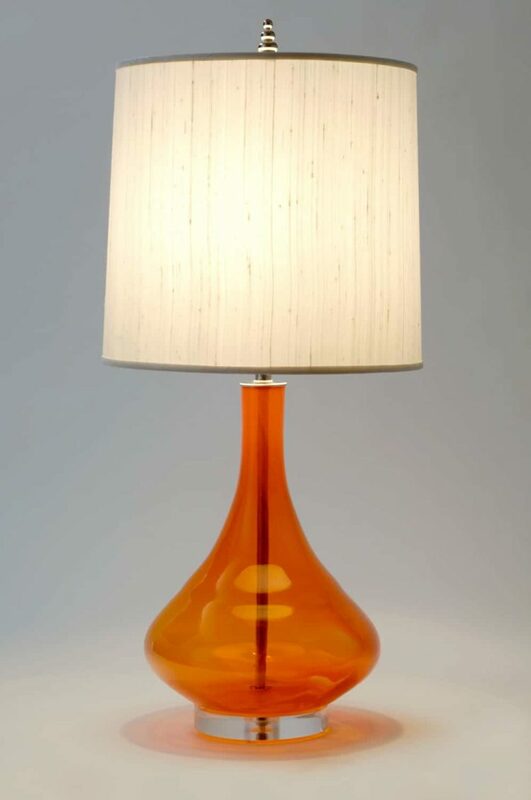 The Harpo is a bright, modern glass light handblown by American master glass blowers in the tangerine glass. The lamp has a 3-way switch, sits on a custom-cut acrylic base, and has the nickel-plated hardware. Hi, my name is Lynn. I am the owner/designer of Vivify Lighting. I designed this lamp and commissioned the glass to be blown by American’s finest glassblowers. Once we received the the curvaceous tangerine glass, we created the Harpo. Each Harpo is handmade and unique. The materials used to make this lamp are of the highest quality and sourced from other American family-owned businesses. Vivify Lighting has been featured on the Today Show, More Magazine television, and was named “Best of the Best in Lighting” at the NY International Gift Fair (NYNow) by the NYC Metro ASID. 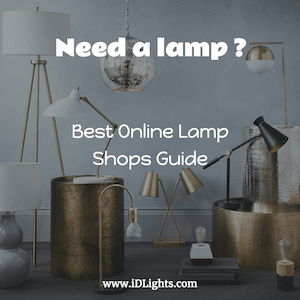 Whether your decor is traditional or modern, formal or relaxed, our Vivify lamps will illuminate your home with their brightly sophisticated designs, expert craftsmanship, and eye-catching beauty. Rare pair of glass table lamps made in the style of Murano glass. The orange shade is shaped as a mushroom. The cylindrical base is made of brushed aluminum. The lamps can be used/wired as light or as pendant lights. Wonderful “Eclipse” table lamp by Lightolier. Sometimes called a lunar eclipse or lighthouse table lamp, the exterior housing is constructed of metal with a plastic base. The interior metal piece swivels around the light bulb via a plastic turning knob at the top, allowing you to let in only a partial amount of the light. Comes with a standard plug and cord, with a click switch, and has a bulb included. 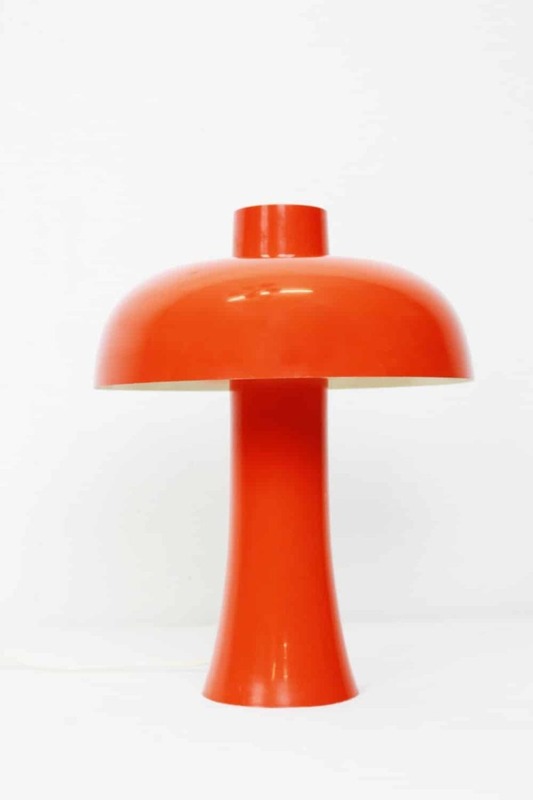 We’ve seen some reference to the Artemide Eclisse Lamp by Vico Magistretti, but unsure if this is what inspired Lightolier to make this particular model. Has a great space-age 1970s vibe to it, would look great in a modern pop-art themed room. Marked on the bottom with the Lightolier name in the plastic, and the blue Underwriter’s Lab Lightolier sticker. In good vintage condition, tested and works. The bulb is an older one, not sure if original, and we cannot guarantee the life on it. The plug is the older two prong model, with a Leviton click switch further up the cord – as with all electronics we sell we would probably recommend this be rewired at some point. Some paint scuffs, moderate scratches, some overall wear to the metal. See the 4th photo for one scuffing area that is a bit larger – the exterior paint on these pieces seems a bit fragile, and we would encourage only very gentle cleaning. Measures about 7 1/4″ tall, 3 3/4″ wide. Vintage glass table lamp made in the style of Murano glass. 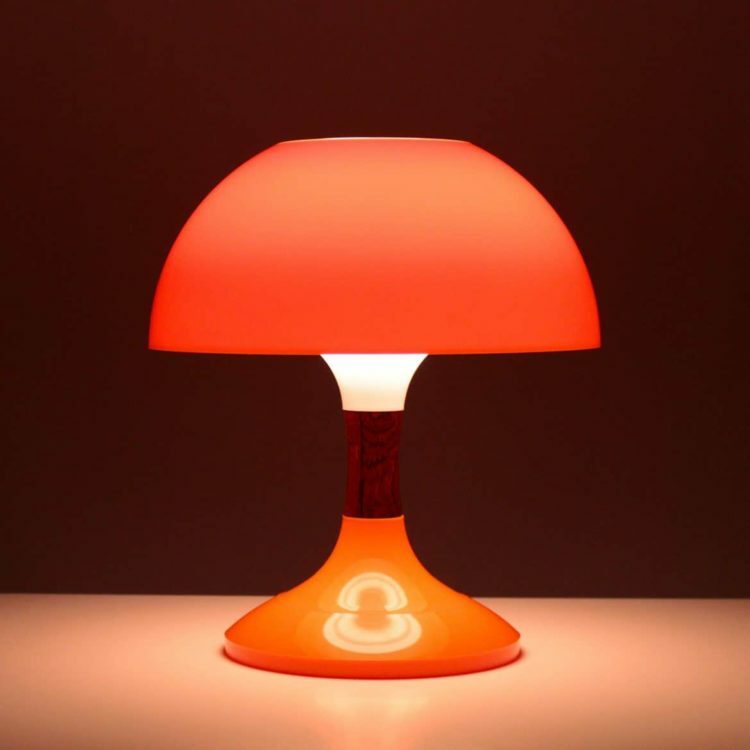 The orange shade is shaped as an atomic mushroom. The cylindrical base is made of brushed aluminum. Very retro and atomic light straight from the 70s. It has a chrome base with small on/off switch and orange glass shade that displays really well and gives wonderful ambient light. 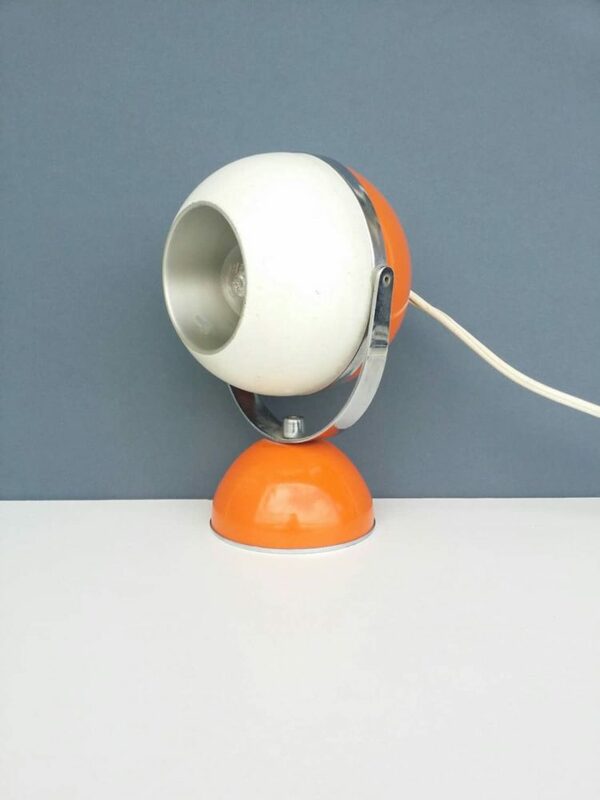 This a great example of a lamp from the 1960s Space age period. This lamp is originally Italian and in full working order. It has a lovely round shape and is a great condition for its age. This one is particularly unique because of its two tones and nicely rounded base. This makes its value higher and it’s also highly collectible.